In this video, you’ll witness probably the world’s fastest Nissan for making an impressive record by running 222 mile per hour in just 6.46 second. 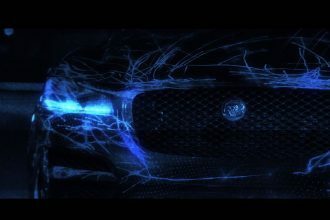 This video was take in Factory Xtreme final of Jamboree 2012 where Scott Porter’s Nissan Infinity V6 VQ35 reset it’s own world record.They dubbed it as the fastest Nissan powered vehicle in the world. Despite of its impressive record, many were disappointed on how hideous the car looks like. Some are telling that this car no longer looks like GTR. Nevertheless, we cannot deny the fact that it has done a very impressive record on the tract! Watch the Nissan in action below. 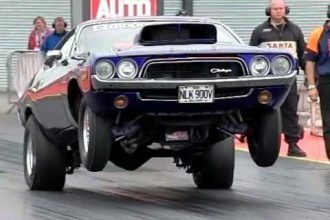 Watch This Awesome Dodge Challenger Slow Motion Wheelie! BRAND NEW Jaguar F-Pace Shows Off It’s exceptional Driving Dynamics!